Created by recreational drummers with a passion for music and fitness. 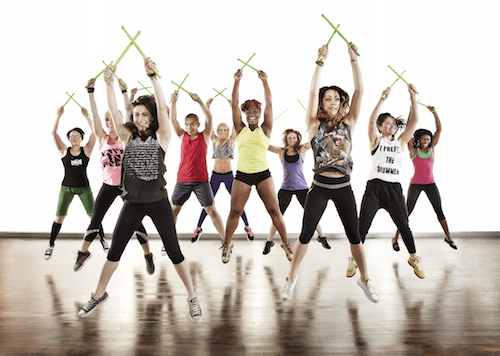 RIpstix are the key piece to this workout, ¼ lb neon green drum sticks. (The modification we use is wooden dowel lummi sticks.) Their motto for POUND Fitness: ROCKOUT. WORKOUT! Benefits to POUND: Only workout where you can hear your body’s exertion. This is an a symmetrical, non-linear group fitness workout, symmetry between right and left, and positive intensity! Presented by Danielle O'Reilly and Stephanie DiPiazza. Join us for a great workout!! !